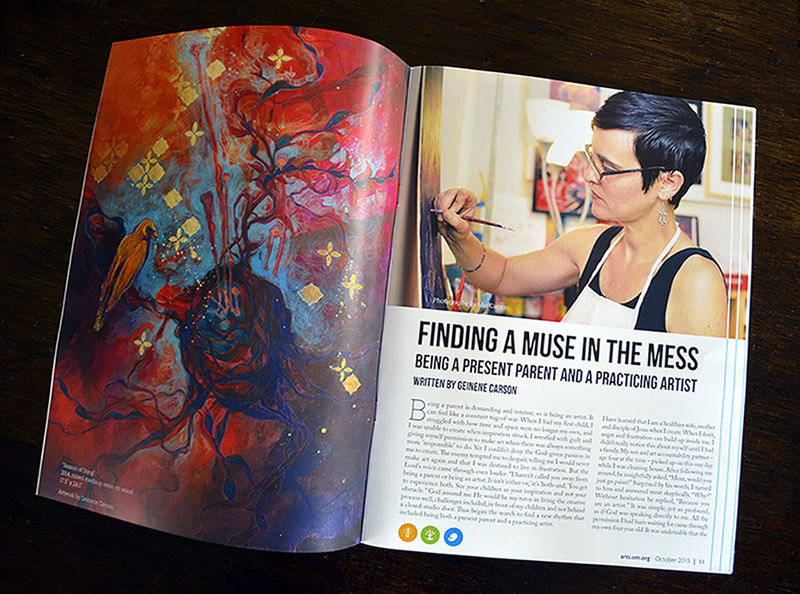 I was first asked to consider putting my story into writing by VIVID magazine late last year. This was not only an honor, but a challenge. How would I put into words, clearly and concisely, what I only feel able to express visually? Yet, such opportunities don’t come often, and I felt compelled to man up to the challenge. Words may not come as naturally for me as brushstrokes, but the effort invested has been ever so worthwhile. To my joy and encouragement, I have received such positive feedback. And, the reach of the publication has stretched internationally. 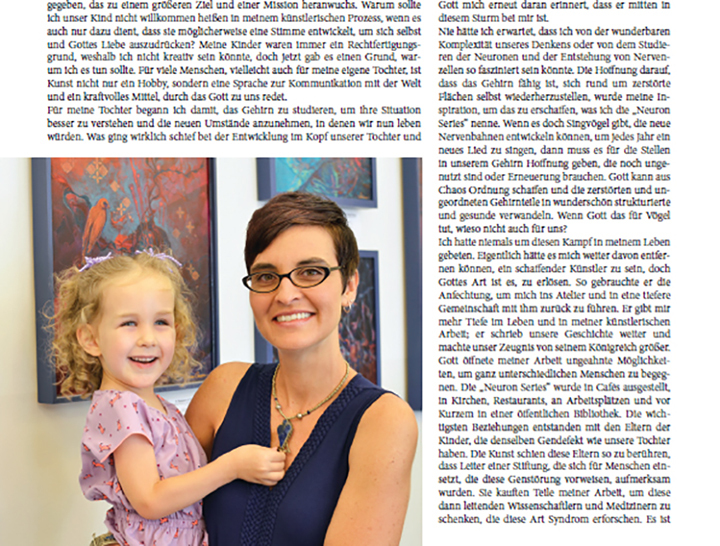 Not long after the magazine was in circulation, I was contacted by a community of creatives in Germany seeking permission to translate my story, adding their commentary in response, and circulating it among their readership within a more expansive arts newsletter. Wow! What an opportunity I never expected to follow on the heels of the other! I am most touched that my story can and is resonating with many creatives, even cross-culturally!